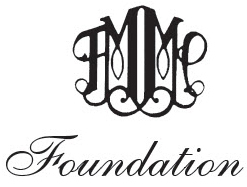 The Friday Morning Music Club Foundation, Inc., is a subsidiary corporation of the Friday Morning Music Club, formed for the purpose of supporting the education of gifted young musicians. Founded in 1948 and financed by tax-deductible gifts and legacies, the Foundation sponsors the renowned Washington International Competition (WIC) for voice, piano, and strings, in a 3-year rotation. Since 1976 we have also sponsored a triennial competition for composers, held in the same year as our strings competition. For detailed information, please visit our Washington International Competition page. The Foundation also conducts the Johansen International Competition for Young String Players (JIC) (violin, viola, cello) ages 13 through 17. Held once every 3 years, this competition is made possible through the generosity of a trust fund established by the late Anna Storch Johansen of Falls Church, VA. Mrs. Johansen was a violinist and a Life Member of the Friday Morning Music Club. For more information, please go to our Johansen International Competition page. Both competitions are judged by experts of international status and attract outstanding young musicians from the United States and abroad. Prizes include substantial cash awards, complementary membership in the FMMC, and performance opportunities in Washington and surrounding communities. The final round of each competition is open to the public, and provides a rare opportunity to hear exceptional artists in a variety of works. Winners of both competitions have gone on to establish notable performing careers. The Foundation is governed by a Board of Trustees composed of and elected by members of the FMMC and is subject to oversight by the FMMC’s Board of Governors with respect to financial practices, budget, and governance. FMMC members are invited to serve as escorts and ushers at the competitions and to offer housing to candidates.